8" Three way in wall design. The tweeter swivels to angle the high frequencies to the main listening area. A 2" Mylar Midrange adds clarity without any loss between the bass and high portions of the soundtrack. The 8" Polygraphite woofers fills any room with clean, crisp bass. Even more control is given for the tweeter and midrange with a dial boost + or - 3db. Perfect for surround sound systems or listening to music throughout your home. Great sound at a great price. 3 Way 8" In Wall Speakers. 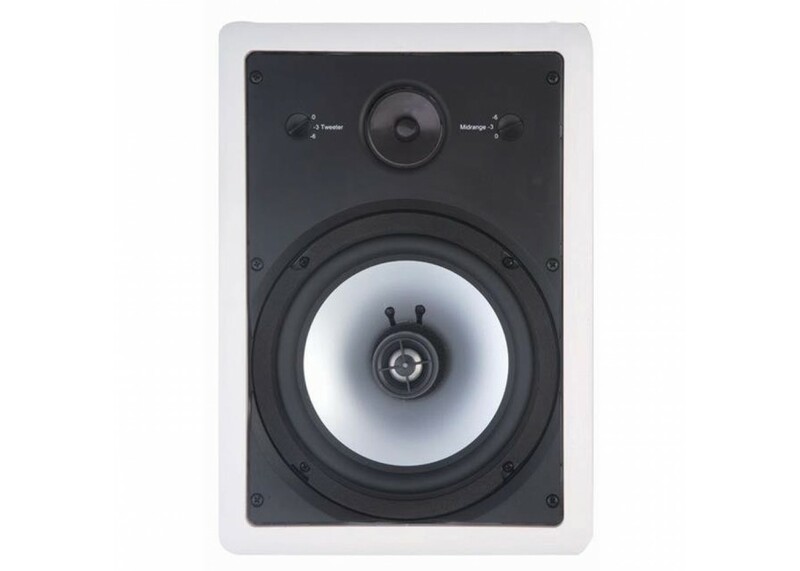 Power Handling: 35-150 Watts Frequency Response: 45-20kHz Sensitivity: 89dB Impedance: 8 Ohm Weight: 5.27lb Each Cut Out Size: 12.9" x 8.90" Mounting Depth: 3.94" Grills & Mounts Included.